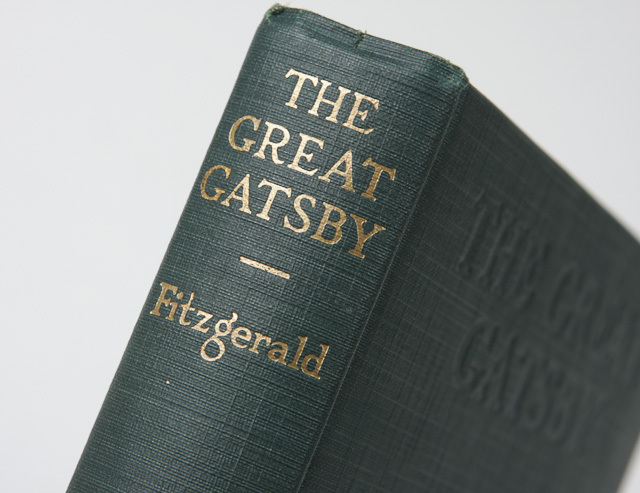 In chapters six, we actually learn who Gatsby is – and will never be. Tom Buchanan, the husband we all love to despise, arrives with fellow aristocrats on horseback at Gatsby’s. He is oblivious to the rival intentions and actions of Jay Gatsby, an alias as we now know. Though both men are rich, the irreconcilable chasm between the classes begins to take form with implications for any future relationship between Daisy and either man. At the last of Gatsby’s Saturday night parties, Tom and Daisy accept Gatsby’s invitation to attend. Tom is unimpressed if not contemptuous towards the star-studded attendees. Following the departure of the guests, Gatsby desperately confides to Nick his fear that Daisy wasn’t impressed, that she really didn’t have much fun at the party. He is bewildered and a bit panicked that Daisy, for whom all of the parties were held to attract the attention of his former lover, simply doesn’t understand anymore. As an aside, those who’ve viewed the British television masterpieces, Upstairs, Downstairs and now, Downtown Abbey, have seen the dramatic change British class experienced after The Great War. In America, that disruption of class simply didn’t happen during roughly the same period. As Gatsby is set in the decade before the Great Depression, we see that turn-of-the-century class rules have only become more ingrained in reality. The discussion begins tonight, (Thursday), at 8:00 p.m. (EST). Mark, my dogs are going crazy. Can we continue this discussion later? Gatsby is trying way too hard to impress Daisy. Possibly the reason Daisy is unhappy is because she chose Tom rather than waited for Gatsby. Thanks for joining in tonight. Perhaps the return of veteran officials to the NFL may explain tonight’s uncharacteristically sparse participation. More likely, though, people have busy lives and I’m looking forward to further posts on chapter six and next Tuesday’s coverage of the tumultuous chapter 7. I’ll close tonight with the announcement that Tuesday’s discussion will be for a full hour, 8:00 – 9:00, as so much happens in chapter seven. Thanks for participating tonight, Erin, and feel free to add comments as you like! I enjoy the discussion and reading everyones input. Can’t wait for the next discussion! I love Downton Abbey. Can’t wait to see season 3 in January. I believe Tom is coming to the realization that Daisy was been keeping a separate life from him. Tom is just very skeptical of Jay Gatsby. Erin, what do you think about Gatsby’s fear that Daisy didn’t have fun at the party attended by Tom and Daisy? I think that Daisy is bored with her life and Gatsby thinks he can liven up the party so she will have fun and enjoy being around him, thus regretting not marrying Gatsby. We do not know why they went separate ways yet only that he went to war and she married Tom. Hope it comes out. Its important to Gatbsy that he is doing all he can perhaps making up for an earlier transgression that turned their relationship sour. That is a good point. He wants to know who this man is maybe he thinks he is a fake. Sorry Mark, I am running very late. You’re the first to check in. Thanks for joining. What are your thoughts on chapter 6? I’ve included a couple of question to consider or feel free to begin as you wish. Nick’s reply was more cutting than intended. What do all of you think of this moment in the book? 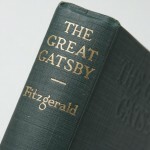 Nick tries to tell Gatsby that he should move on, that Daisy has moved on and to stop living in the past. Gatsby thinks he can re-create the past so his love will be re-united with him. He thinks if he re-creates the past, Daisy will notice and will re-conncet with old feelings. It’s kind of a moral about trying to go back in the past after people move on. It is about changes in life, poor decisions and regrets right now in this book. Welcome again! It’s 8:00. Who’s here and how do you feel after reading chapter six? Did your own mood change once you finished the chapter and if so, how?